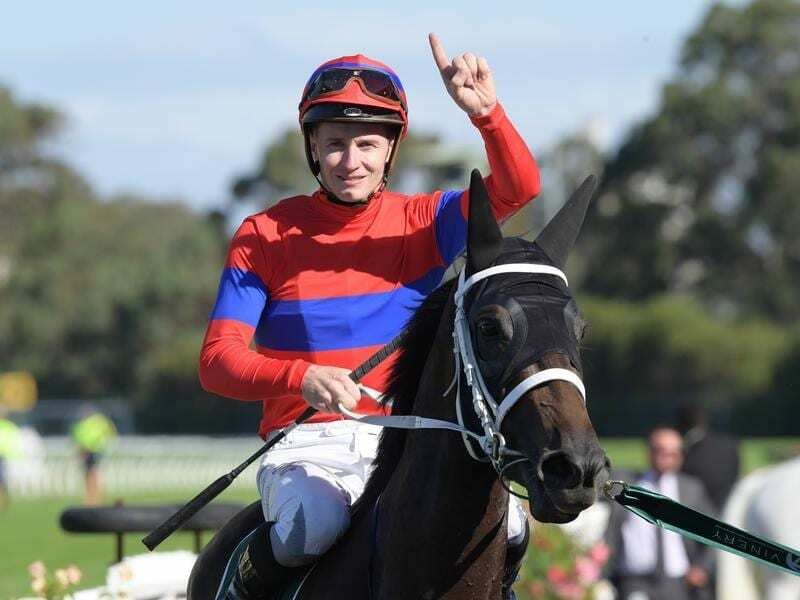 Verry Elleegant firmed to take out the ATC Australian Oaks after claiming the Vinery Stud Stakes. “No. I don’t think she likes the seven-day back-up, hence the reason why she didn’t run in the Australian Guineas,” Waller said. She still wasn’t perfect in scoring a last-start Phar Lap Stakes win so Waller removed her nose roll and added ear muffs to her racing gear and it paid dividends. “She’s very smart, she obviously just needed a bit of working out,” Waller said. Very Elleegant was the first of two Group One winners for McDonald who also claimed the Tancred Stakes on Godolphin’s Avilius. “It was a masterstroke putting the ear muffs on, incredible,” McDonald said. “I could have had her anywhere, she relaxed so well. While Verry Elleegant won’t go to the Derby, trainer Kris Lees hasn’t ruled out tackling the race with Frankely Awesome but will make a final decision when he returns from Dubai early in the week.